Asbestos is a fibrous mineral found naturally in rocks and soil. Prior to 1980, asbestos was used commonly in construction materials used in buildings, homes, and schools. Asbestos is the only known cause of mesothelioma. Asbestos is made of naturally occurring fibrous minerals found in rocks and soil. These fibers are so small that they cannot be seen. People exposed to asbestos unintentionally inhale or ingest these toxic airborne particles. Asbestos can be found in many construction materials, such as spray-on insulation and roofing materials. Most mesothelioma cases are due to occupational exposure. Asbestos was a critical building component in the military, used in virtually every naval ship from the 1930’s to 1980’s. It was also used in most construction trades during this period. Asbestos has been used since before 3,000 B.C. Records show ancient Egyptians pointing to a related illness that afflicted those who worked with the mineral. Asbestos is a naturally occurring mineral that was often used in manufacturing for its fire-resistant and insulating qualities. It is still widely used in some countries across the globe. The use of asbestos was common in the United States until the 1970′s. During this time regulations were made to help protect people from developing mesothelioma and other asbestos-related illnesses. Some parts of the world still use asbestos because it is cheap and convenient for manufacturing. Asbestos can still be found today and there are several other minerals which also pose a threat to those who breathe in their fibers. There are two different kinds of equally dangerous asbestos fibers: serpentine and amphibole. Serpentine fibers are long and curly. These types of asbestos fibers are sometimes easier for the body to flush out. The only known type of this asbestos is chrysotile. According to Penn Medicine, “Because it is the most widely used, chrysotile accounts for the majority of cases of mesothelioma and asbestos diseases including pleural mesothelioma”. Amphibole fibers are short, straight, rigid and sharp. These types of asbestos fibers are easy to inhale. Amphibole lodges into organs and tissues more easily than serpentine fibers. These types of asbestos fibers are more likely to cause mesothelioma and lung cancer. Amosite and crocidolite asbestos have these types of fibers. “…asbestos fibers of greater length and smaller diameter (high length/width ratio) are more carcinogenic, possibly because they can penetrate farther,” claims a passage about malignant pleural mesothelioma in Clinical Respiratory Medicine. There are six different subtypes of asbestos used in products: tremolite, actinolite, anthophyllite, chrysotile, amosite, and crocidolite. The three most commonly used asbestos types are chrysotile, amosite, and crocidolite. These asbestos subtypes can be found in construction materials and automobile parts. Also known as "white asbestos"
Also known as "brown asbestos"
Also known as "blue asbestos"
Asbestos is primarily found in older buildings. Prior to the 1980’s and 1990’s, there weren’t any restrictions on using materials that contained asbestos. Unfortunately, the health risks were known long before regulations were instituted. Asbestos is extremely flame-resilient and durable. As a result, it was used in many buildings, homes, plants, and schools built prior to the 1990’s. Asbestos was also used in automobile parts. There are approximately 542 locations in the United States where asbestos exists in mine deposits. Those who have worked directly with asbestos materials, such as miners, have the highest risk of developing asbestos-related cancers. However, secondary exposure can also occur. Many mesothelioma patients were unintentionally exposed by coming into contact with asbestos fibers brought home by their loved ones. Mining for asbestos no longer occurs in the United States. It was once popularly mined to meet a high demand in the country. Asbestos was mined by using an open-pit (an open area similar to a valley) method. When asbestos is first extracted, it resembles old wood. It is then refined to a fluffy fiber. The refined asbestos is then added to other materials, like cement or insulation, to form an asbestos-containing material. Mining of asbestos in the United States ended in 2002, but it is still imported into the country today. In fact, over 8 million pounds of asbestos has been imported to the U.S. over the last decade. The majority of asbestos imported into the United States is raw asbestos. As of today, this type of asbestos is mostly used by the chlor-alkali industry. This industry uses it to aide in the production of chlorine and sodium hydroxide. The answer is no. Even though there have been efforts made to officially ban it, asbestos is still legal in the United States. In 1989 the EPA attempted to ban asbestos. Unfortunately, the result was banning only new uses of the carcinogen. Some ways that asbestos was used dating up to 1989 are still legal. The U.S. Consumer Product Safety Commision in the 1970’s banned the use of asbestos in wallboard patching and gas fireplaces. Also around this same time, asbestos was removed from electric hair dryers. In the early 2000’s crayon manufacturers refined their recipes when asbestos was discovered in their crayons. During this timespan, the EPA also expressed concern about asbestos contamination in gardening products containing vermiculite. Recently, traces of asbestos have been found in cosmetic products, such as talc powder and makeup. In 2016 the Toxic Substances Control Act was passed in the United States. Under this law, certain chemicals must undergo a series of tests that address public safety. The EPA included asbestos in the first ten chemicals picked to be reviewed. Unfortunately, as of today, no tests have been completed yet. Over 50 countries have banned asbestos, but the U.S. isn’t one of them. It is impossible to pinpoint the first uses of asbestos, but archaeologists have found traces of the mineral in Scandinavian excavations (pointing to 3000 B.C.). The Greeks and Romans once used the material to create fire retardant cloth and in their building materials. Asbestos has also been discovered in suits of armor from medieval times and in embalming techniques used in preserving pharaohs in ancient Egypt. As the Industrial Revolution engulfed America in the early 1800′s, manufacturers found asbestos helped to insulate pipes and fireboxes. Soon, asbestos was mined and used in every facet of construction and manufacturing. It was also used in shipyards, railroad cars, and automotive factories. As time went on, the demand for asbestos increased. Although health risks were known, asbestos materials were continued to be used in houses, schools, and office buildings up until the 1980’s. For many decades, the asbestos industry held secret from workers that asbestos could cause pulmonary issues. Outside researchers didn’t discover until late in the 20th century that asbestos causes mesothelioma. In the past, exposure to asbestos was associated only with individuals that worked directly with the raw material. Some professions associated with this are mining and construction. Occupational exposure is not just a thing of the past because it still occurs to many people in the United States today. Exposure can occur to individuals inside their home because asbestos was once used freely in building materials and consumer goods. Secondary exposure has even been known to occur to the loved ones of workers that carry asbestos dust home with them on their clothes and person. Based on research by the American Thoracic Society, as of today,“1.3 million construction workers as well as workers in building and equipment maintenance” are exposed to this harmful carcinogen. Asbestos is the only known cause of mesothelioma. Unfortunately, many individuals have been exposed unknowingly in their workplace. 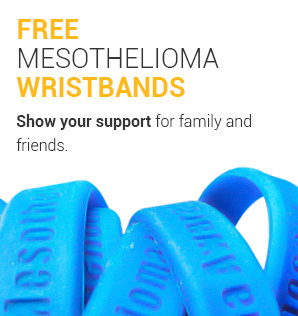 Learn more about occupational exposure in our free Mesothelioma Guide. OSHA Fact Sheet. OSHA. Retrieved from: https://www.osha.gov/Publications/OSHA3507.pdf. Accessed: 10/10/18. Asbestos Toxicity Where Is Asbestos Found?. Agency for Toxic Substances & Disease Registry. Retrieved from: https://www.atsdr.cdc.gov/csem/csem.asp?csem=29&po=5. Accessed: 1/11/19. Asbestos Exposure and Cancer Risk. National Cancer Institute. Retrieved from: https://www.cancer.gov/about-cancer/causes-prevention/risk/substances/asbestos/asbestos-fact-sheet. Accessed: 1/11/19. Asbestos Toxicity Who Is at Risk of Exposure to Asbestos?. Center for Disease Control. Retrieved from: https://www.atsdr.cdc.gov/csem/csem.asp?csem=29&po=7. Accessed: 1/11/19. Taconite. Minnesota Dept. of Natural Resources. Retrieved from: https://www.dnr.state.mn.us/education/geology/digging/taconite.html. Accessed: 1/11/19. Erionite exposure in North Dakota and Turkish villages with mesothelioma. US National Library of Medicine National Institutes of Health. Retrieved from: https://www.ncbi.nlm.nih.gov/pmc/articles/PMC3158231/. Accessed: 1/11/19. 8 million+ pounds of asbestos shipped to U.S. ports over last decade. Asbestos Nation. Retrieved from: http://www.asbestosnation.org/facts/8-million-lbs-of-asbestos-imports-since-2006/. Accessed: 1/11/19. Where Is Asbestos Commonly Found In The Home, When and How Should It be Removed?. Environment, Health and Safety Online. Retrieved from: http://www.ehso.com/cssasbestos/asbestosfoundwhere.htm. Accessed: 1/11/19. Time to ban asbestos? Merkley and Bonamici think so. nmLaborPress.org. Retrieved from: https://nwlaborpress.org/2018/04/time-to-ban-asbestos/. Accessed: 1/11/19. Last Edited: April 11, 2019.